A brilliant dancer chronicles his success at two of the world’s major ballet companies and the injury that almost cost him his career. From an early age, Hallberg knew he wanted to be a dancer. While in elementary school, he saw his first Fred Astaire movie, and from that moment, “dance has stayed with me every day of my life.” He taped nickels to the soles of penny loafers and tap-danced in them, even in grocery stores, until his supportive parents bought him proper tap shoes. At 11, he attended his first ballet class and learned that ballet was his true passion. He also discovered that he was gay. Classmates picked on him, including the time four bullies formed a circle around him and doused him with perfume. But life improved: New York’s American Ballet Theatre accepted him into their Studio Company, a training ground for young dancers. He became one of ABT’s principal dancers and stayed until, after five years, he “began craving something new and uncharted” and joined the Bolshoi. Hallberg writes candidly about his career and the injury that almost ended it: a damaged ligament in his foot, an injury so severe he needed two surgeries, two years of rehabilitation, and several months in Melbourne to work with an Australian Ballet physiotherapist who had saved many dancers’ careers.­­­­ Unfortunately, the author’s descriptions of the many ballets he has performed are repetitive. The book would have been stronger if he had focused only on those that marked dramatic career points rather than compose what feels like a laundry list of every ballet he’s ever danced and every ballerina he has ever partnered. Yet this is still an inspiring story of Hallberg’s rise to the pinnacle of his profession and his battle to reclaim his career. 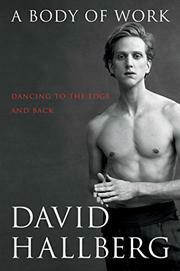 A moving if scattershot account of every dancer’s worst nightmare and the sacrifices required to overcome it.